I'm new to this forum - what a great community for pentax users. I did have a K1000 several years ago and learned photography the good ol' fashioned way with 28, 55 and 135mm lenses. I then popped over to a canon eos 3 for 2-3 years but have decided it's a characterless beast - despite being a great body - and wish to return to my roots. 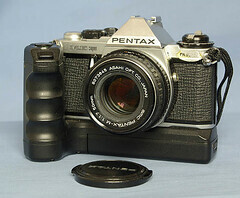 I'm looking for a Pentax film body - preferably K mount to go with the one remaining lens I have acquired via my mum's friend who had one in his shed for 20 years (70-200mm) - but I want something quicker than the K1000 in terms of setting the shutter speed, and with spot and matrix light meter which allows me to adjust third to half stops with relative confidence. Opinions, thoughts and suggestions (and any anecdotes) much appreciated. To me it just has a nicer look than the equivalent shot on digital crop. Probably mainly the shallower DOF rendering giving the image more of a 3D look. I would look for one of the flagship PZ series cameras, and if you plan on using AF and therefore don't mind a pentaprism viefinder, any of the budget PZ series will do as well. Very easy and quick to change aperture / shutter speed settings, via a thumb dial, just like a DSLR. Both have different uses, but film and film bodies are just so fun to use! What about the Super A as well? I have two and they are great! Agreed, but I wouldn't say they are easier to change the shutter speed quickly on! Hi there, I've considered eos 1V - agreed it's the best body, but I'm looking at £400+ for one in good condition, and the size, similarly to eos 3, is too big for me, plus weight of lenses... I'm focusing on the 35mm for now but will definitely consider medium format when I feel I've mastered the 35mm - probably a while away (they say 10,000 hours of study/practise is the benchmark). that is a nice image. I guess the key is working intuitively. 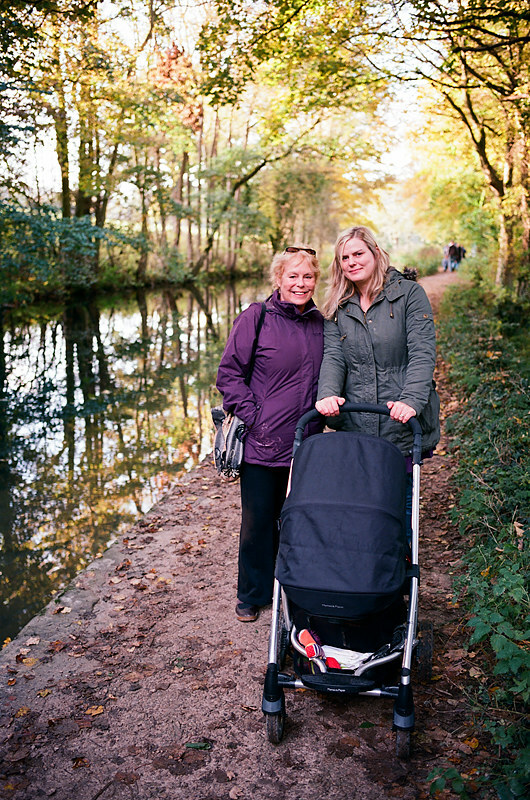 I liked that about the K1000 except having to glance up to check the shutter speed. 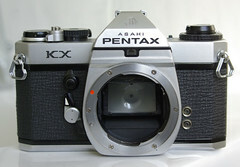 I find the pentax film just a more natural body. With the K10 I constantly had issues where the camera would not take an image as it could not handle the light contrast in a scene - this caused me to move over to canon. taking the MZ-7 into consideration too...thank you!